Swimming pools are great fun but be careful! In summer, a homeowner's thoughts often turn to that expanse of grass, weeds and debris known as the back yard. What if all the sweaty toil associated with keeping the yard in reasonable shape could be replaced with lazy days floating around your very own swimming pool or spa? It's an appealing notion but like all such stuff that dreams are made of, there is a downside. Besides being expensive and requiring more than a little upkeep, pools are inherently dangerous for humans and other species that have evolved beyond living underwater. In short, you can drown in your pool or spa. Even worse, someone else can drown there. Drowning is the fifth most common cause of accidental death in the United States -- and the leading cause of death for children age 1 to 2. While drownings are tragedies for the victims and their families, they are also a legal and financial disaster for the homeowner. In most states, a pool is regarded as an "attractive nuisance," a legal term that basically means it is inherently dangerous and requires pro-active safety measures above and beyond what might normally be expected. Most states and cities require minimum safety standards, usually including a fence around the pool. The homeowner is also responsible for promptly repairing any defects that might make the pool unsafe, including ensuring that the water is purified to the locally required standard. The basic problem with home pools is that, like cars, we see them everyday and become accustomed to them, forgetting that a second's inattention can result in tragedy. The danger is amplified when there are small children in the home. As any parent knows, it is nearly impossible to watch a child every second. While the parent is on the phone, checking the roast in the oven or feeding the dog, a small child can wander outside, jump or fall into the pool and drown in less than five minutes. Always watch your child while he or she is bathing, swimming or around water. Gather everything needed (towel, bath toys, sunscreen) before the child enters the water; if you must leave the area, take the child with you. Empty all buckets, bathtubs and kiddie pools of water immediately after use and store them upside down and out of your child's reach. Do not allow your child to play or swim in canals or streams. Install a 5-foot-tall fence with self-closing gate latches around your pool or hot tub. Consider installing door alarms to alert adults when a child has unexpectedly opened a door leading to a pool or hot tub. Keep a phone and life preserver near the pool or hot tub in case of emergency. Become certified in first aid and CPR. 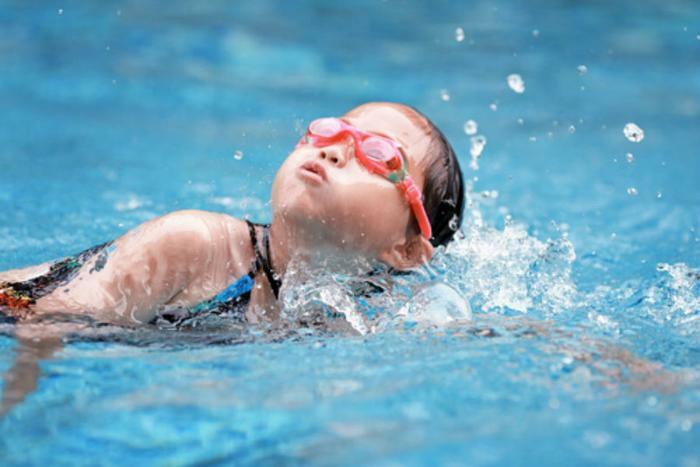 Find age-appropriate swim lessons for your child, but keep in mind that lessons do not make your child "drown-proof." Don't have small children yourself? Doesn't matter. If a neighbor's child or a visitor drowns in your pool, you will still face potentially ruinous litigation if you haven't taken these basic safety steps. Not surprisingly, having a pool or spa may add to the cost of your homeowners insurance. Most homeowners policies include a minimum of $100,000 worth of liability protection but the Insurance Information Institute suggests you consider increasing that amount to at least $300,000 or $500,000. Better yet, look into an umbrella liability policy. For a few hundred dollars per year, it will provide $1 million of liability insurance over and above your homeowners policy. An accidental death or serious injury in your pool or spa could well result in a multi-million dollar claim, so it's vital to have additional coverage. You should also check with your agent about covering the pool and surrounding deck furniture against loss. A hurricane, tornado or other disaster can do a lot of damage that may not be covered by your existing policy. If you live in earthquake country, make sure your earthquake policy covers your pool. Don't even think of having a diving board. The risk of someone breaking his or her neck is too great. Most insurance companies will not even consider writing a policy if you allow diving. Oh, and one more thing: You do know how to swim, yes? If not, a few lessons at the Y are in order before you take the plunge. Keep these common-sense safety guidelines in mind and everything should go swimmingly. A good place to start looking for the right pool is the ConsumerAffairs Pool & Spa Buyer's Guide.